Chances are, the sun isn’t the only thing causing redness on your skin these days. If you’re like millions of women, you’ve been searching for years for products to help calm your irritated skin. This multitasking, emulsified milky-oil gently, yet effectively detoxifies and cleanses skin, removing surface impurities and makeup and purifying pores. It soothes, comforts and infuses skin with essential moisture, leaving skin feeling hydrated, soft and refreshed. 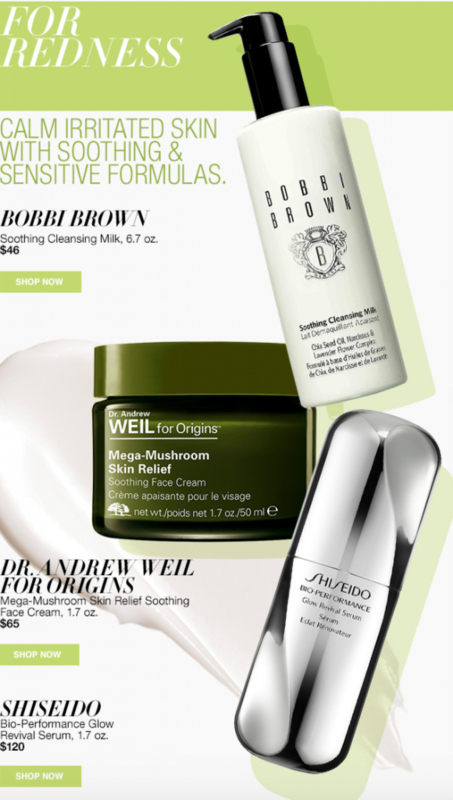 If you’ve been a health buff for any amount of time, then you likely already follow Dr. Andrew Weil’s advice and are sure to love his skincare partnership with Origins. 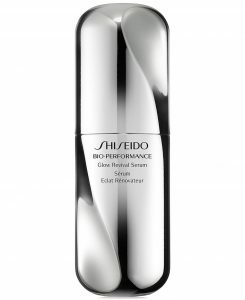 This face cream hydrates, instantly calms skin and visibly reduces redness and sensitivity now AND in the future. Looking for a glow beyond perfection, without the redness? Revive your skin’s glow with this multi-benefit serum that focuses on the role of the capillaries for skin that appears even in tone, radiant with clarity, and fully resilient. It dramatically reduces the appearance of redness, discoloration and dullness, and signs of aging. So there you have it: 3 skin care products designed to reduce the signs of redness. If you read our post on 3 dry skin solutions you need now, then you already know it’s best to try one product at a time, both for your budget and to determine which product really works (if you start all three at once, it can be hard to identify which product leads to the best results for you personally). Don’t be a victim of the sun or your age. Stay hydrated and protected while building up your beauty arsenal to keep yourself looking younger longer.